Check Out the New Pulse BF Wraps! Tiffany from Knoxville, Michael from Saint Augustine & 25 others bought this item recently. 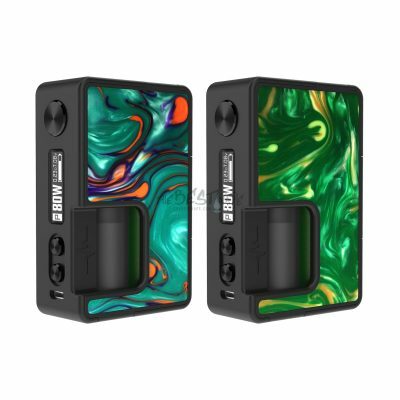 The Vandy Vape Pulse BF Squonk Box Mod aka the Pulse BF Box Mod has been creating lots of buzz in the Vape World the past few weeks. 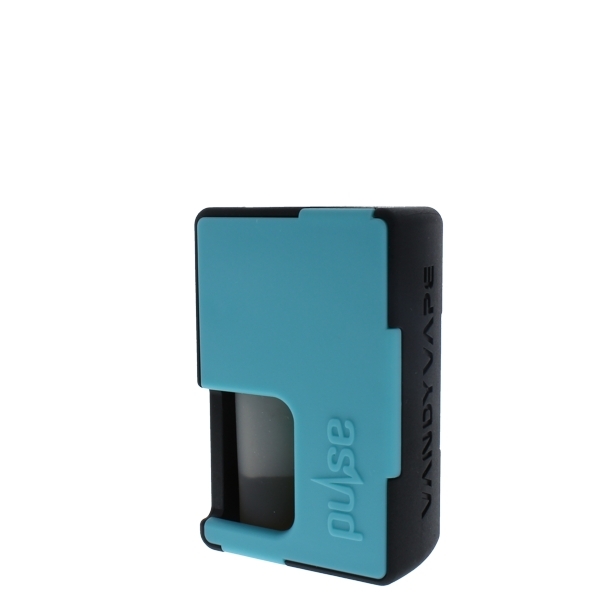 Pretty much every Vandy Vape Product is highly anticipated but for for the Squonkers out there this product is really standing out. 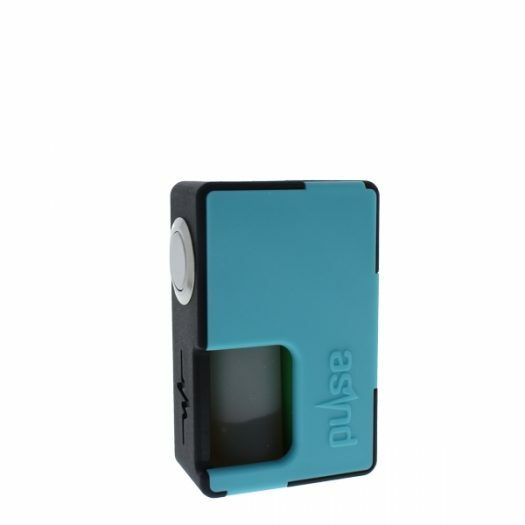 The Pulse BF can use either 1 x 18650 or 1 x 20700 Battery. 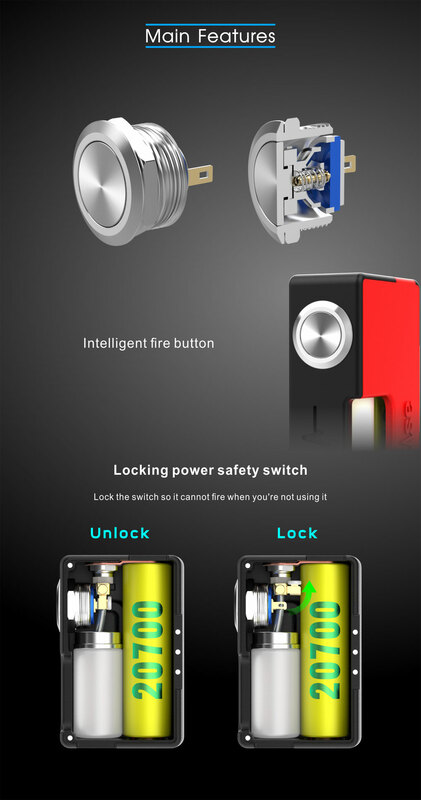 It has a special locking power switch to prevent unwanted pressing of the intelligent firing button. It has copper contacts, no wires, which means it has a direct connection from the switch to the 510. Meaning nothing is lost along the way. The Mod is completely detachable. 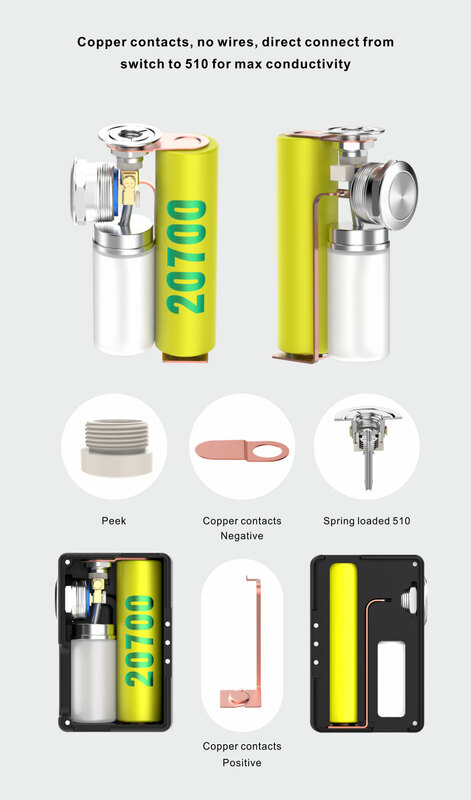 You have access to the 510 Connector, Intelligent Fire Button, BF Bottle, Copper Contact, & Battery Adapter. 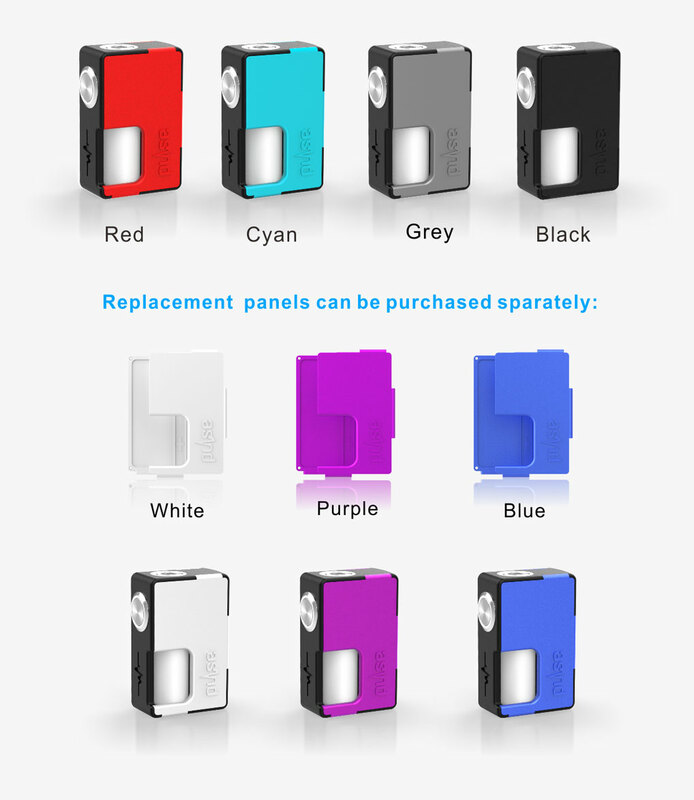 The replacement panels are magnetic, so you can easily switch them out whenever you want. 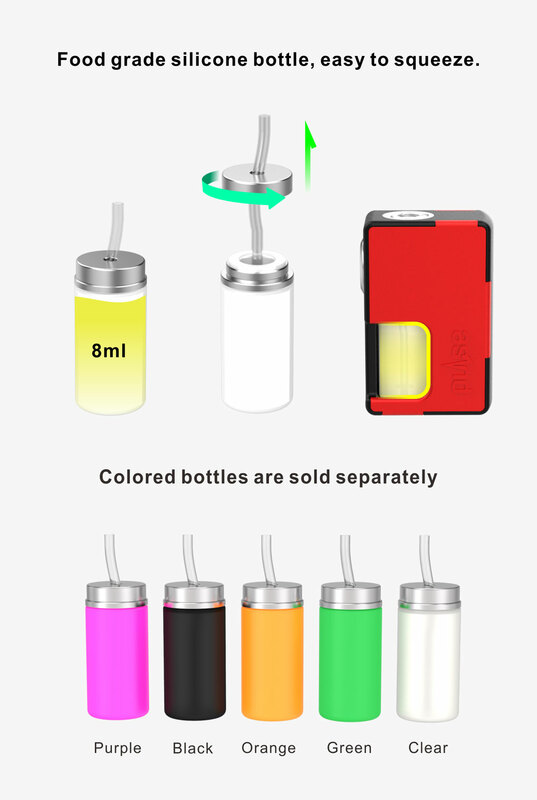 The Squonk Bottle is made from Food Grade Silicone so it’s completely safe, and easy to squeeze. 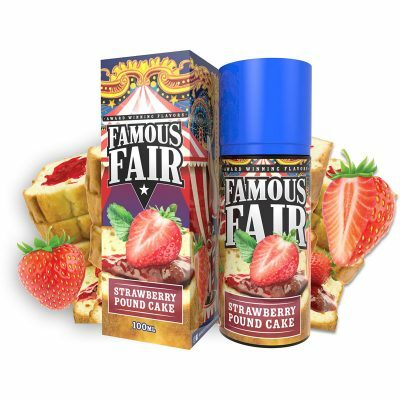 It holds 8ml of eJuice and multiple colored Bottles are sold separately. 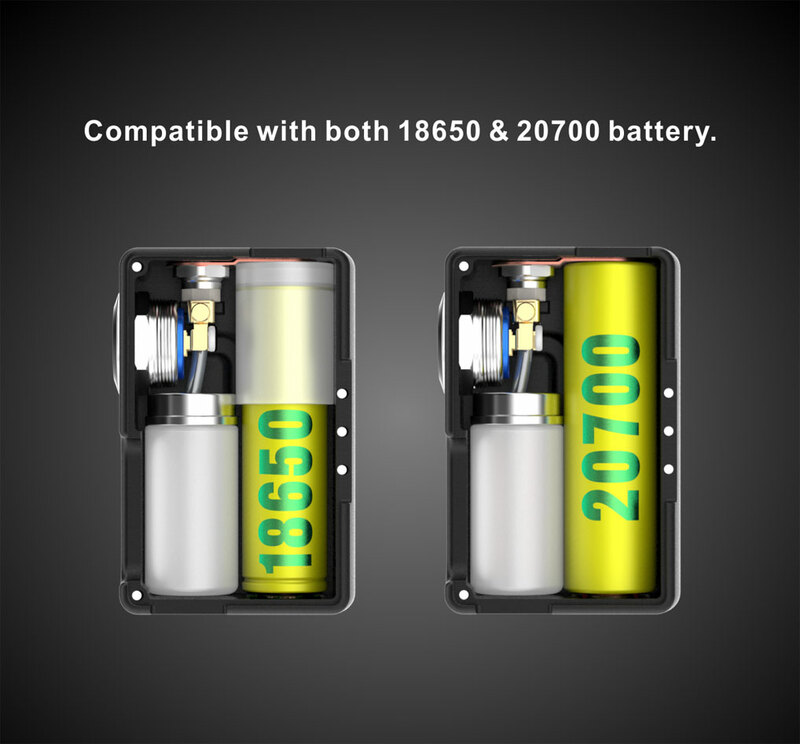 The Product Kit comes with 1 x Pulse BF Box Mod & 1 x 18650 Battery Adapter. 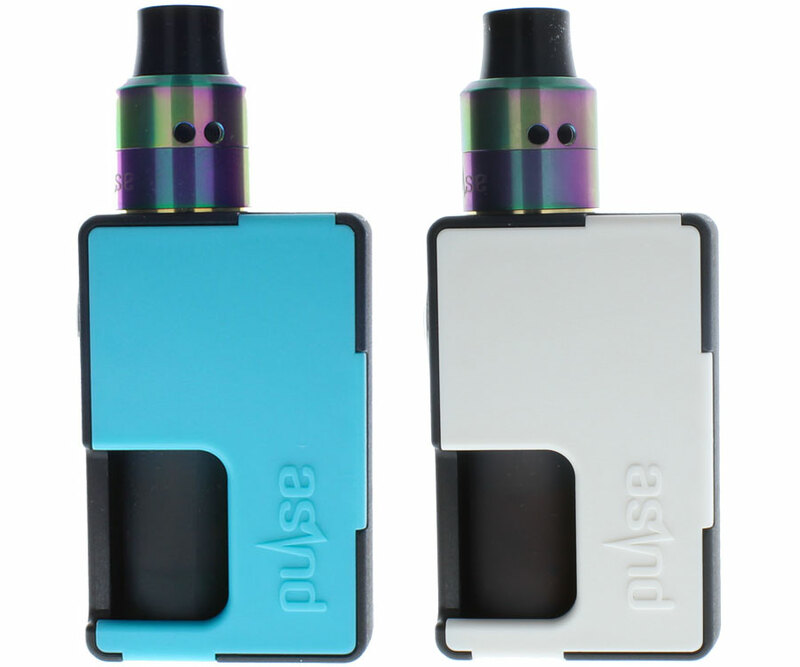 This Mod will go perfectly with the Pulse 22 & 24 BF RDA. 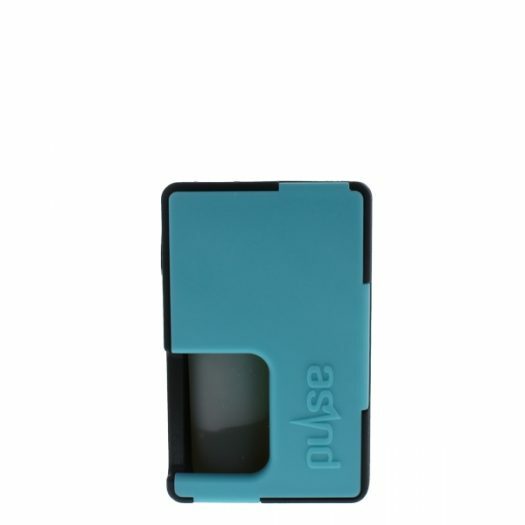 Update: November 11th 2017 – After using this Pulse BF Squonk Mod for about a month we came to a conclusion. 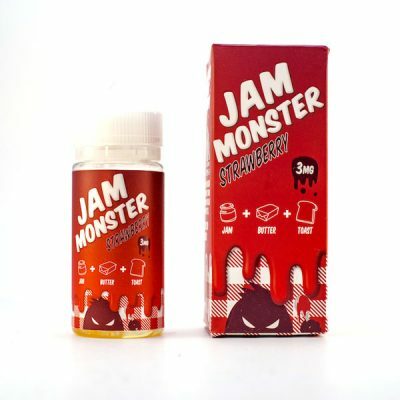 This is probably the best Squonk Mod for beginner Squonkers. 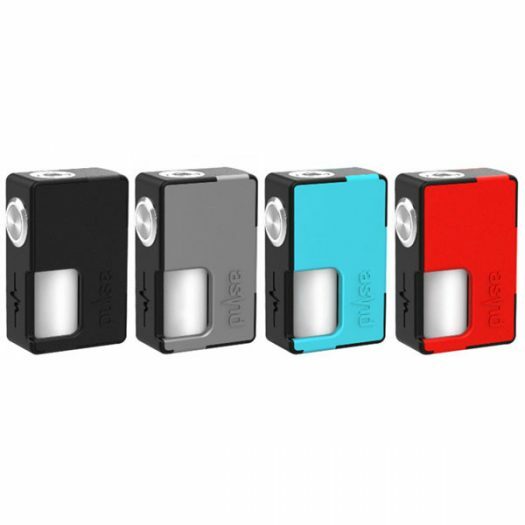 The affordable price & ease of use make this a great little Mod. Great affordable squonk mod that just works…low on fancy, high on function. 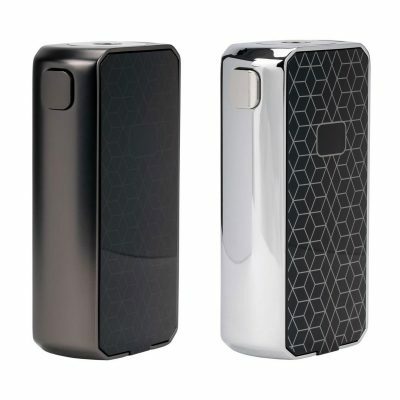 Really great vape for anyone looking for an affordable squonking device!